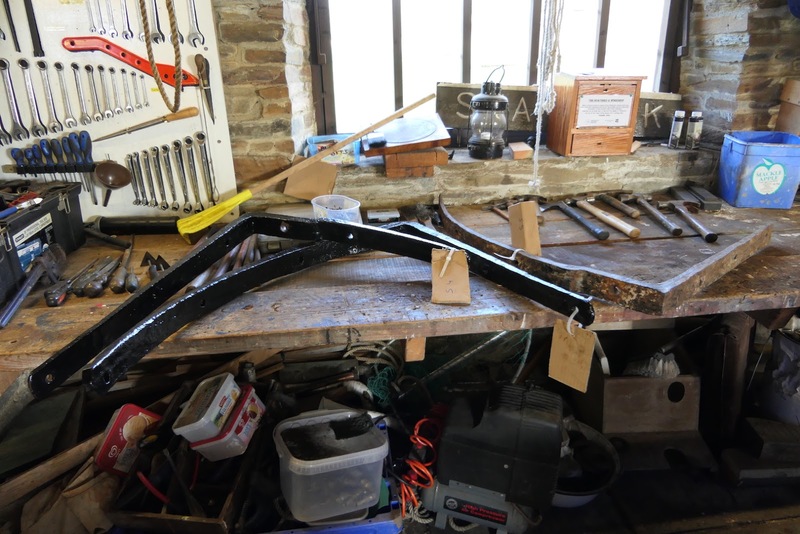 With the quay starting to look like a paddy field, work is still continuing on Shamrock with the fitting of the after two sections of the beamshelf. 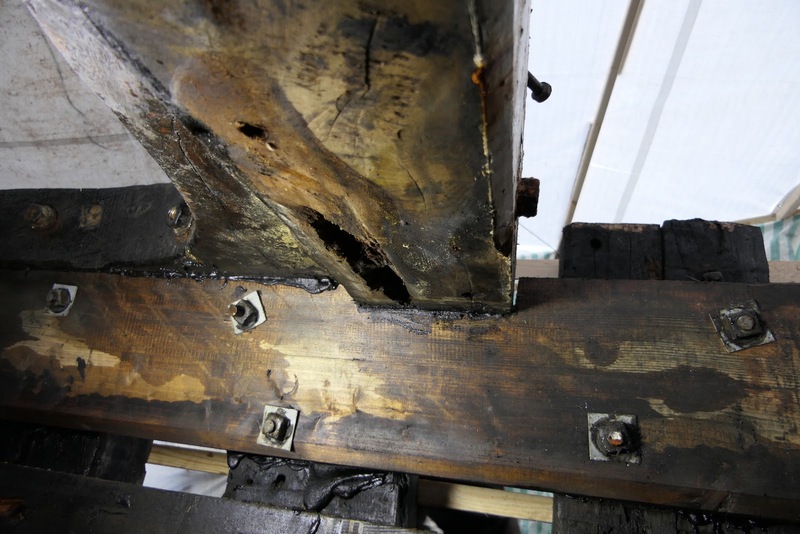 A third beamshelf section still needs to be manufactured once the last remains of the existing section are removed. 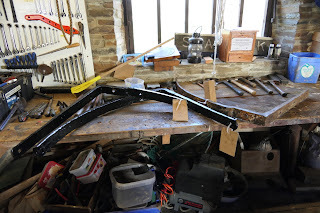 Six of the seven hanging knees have been moved to the boat shed for cleaning and painting with the seventh to follow once it has been removed. 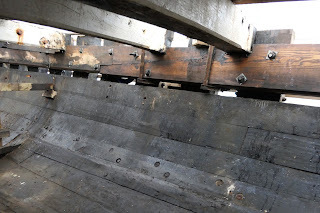 To enable the refitting of these knees the starboard side deck planks, up to the side of the cargo hatch coaming, have been removed to expose the half beams to which the top of the knees are through bolted. 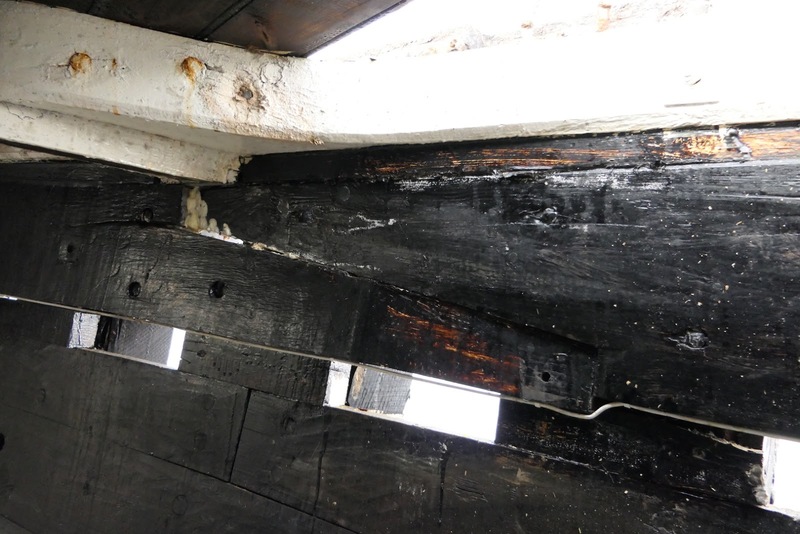 Some of the beams have started to rot due to the ingress of water through the deck plank seams and will need to be replaced or repaired. With the removal of the deck planks the amount of old caulking to be removed has been greatly reduced, much to the relief of the crew. 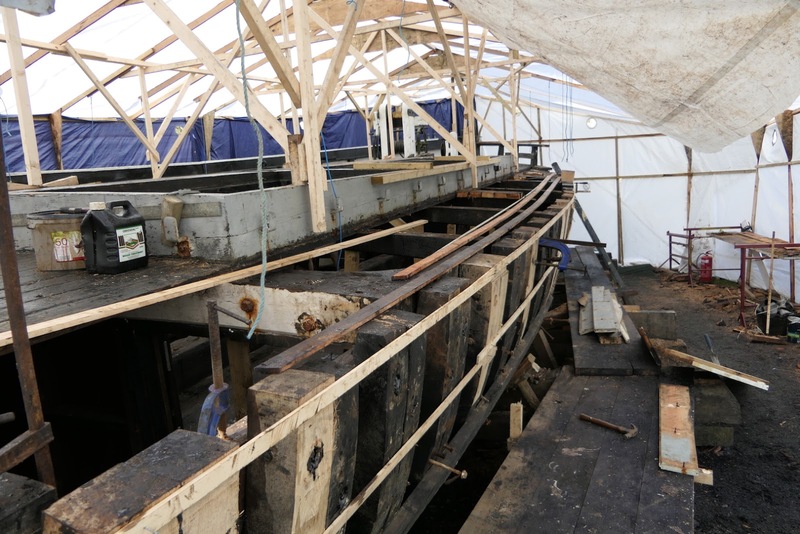 The after cabin, soon to be the engine room, has had its two bunks removed in preparation for the fitting of the propeller shaft, engine and subsidiary equipment. 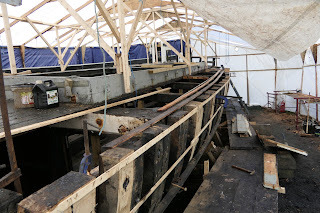 Two new sections of beamshelf bolted in place. This section is still to be removed, note the mycelium around the scarf. Beam rot exposed after removal of hanging knees. 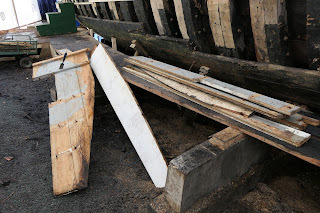 Remains of Shamrock's after bunks.